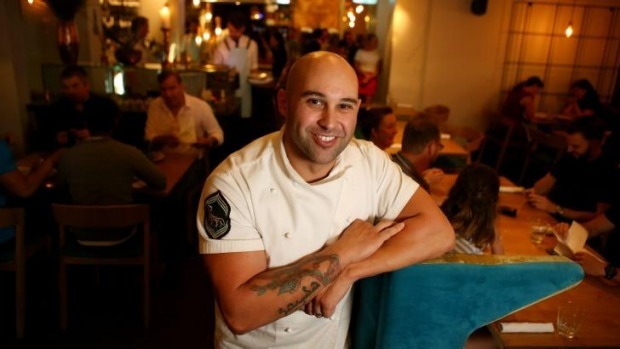 Chef Shane Delia has been offering an extensive additional vegan menu at his Melbourne Middle Eastern restaurant Maha for the past eight years. 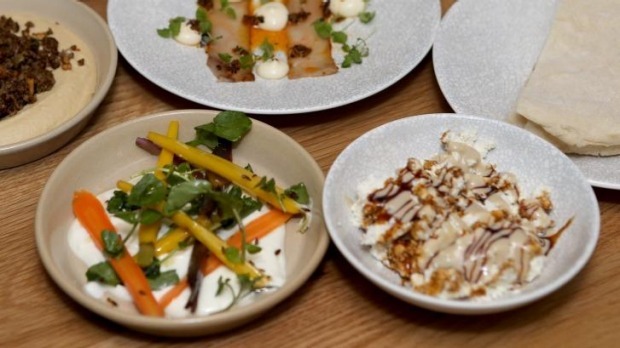 Catering for guests with diverse dietary restrictions is something he has embraced, he says, even though at times it can be frustrating (quasi-gluten-free diners take note: eating that doughnut at the end of the meal doesn't make any friends in the kitchen). But in recent years the number and complexity of dietary requirements has increased, he says. "On any evening 30 per cent of our guests would have a dietary restriction or allergy of some sort, which is a lot." His anecdotal evidence is backed by new research that shows Australia is now divided into distinct "food tribes". Almost 7 million of us are on low carb diets, 4 million Australians are gluten free, 2 million are vegetarian and more than 240,000 pursue the controversial paleo or "caveman" diet. Drawing on data from more than a dozen Australian, United States and British sources, the research was commissioned by burger company Grill'd in order to quantify demand and better adjust menu offerings for its 111 restaurants. The research also showed Australia is home to almost 480,000 vegans, just under 240,000 are on low or no-sugar diets and, significantly, 44 per cent said food restrictions, food allergies and avoidance of particular ingredients dictate what they eat. "If people want to come to us because they know we cater for [dietary complexities] … great," says Delia. "As much as it's a ball-breaker we are actually happy to do it because it means our customers leave happy." In nearly 40 years of practice Melbourne dietitian Karen Inge has seen certain fad diets come, go and then re-emerge under a different name. What's different today, she says, is that the internet has not only provided education and awareness but, for some people, information overload. "I think we're seeing the death of the expert and people are getting their nutrition information from all different sources. [Some people] cannot differentiate between the information that's evidence based and the information that isn't." Food allergies, though, are definitely something new. "We know it was zero 50 years ago and it's here now," says Professor Katie Allen, director of the Centre for Food and Allergy Research at the Murdoch Children's Research Institute. "Adverse reactions to food are probably – and this is only an estimate – thought to be around 30 per cent of the community." These include immune-based (allergic) reactions to food and non-immune-based reactions, known as intolerances, which may be permanent or curable. From a restaurant's perspective, though, increasing dietary restrictions simply means increasing complexity in the kitchen. Michael Ryan, chef-owner of Beechworth restaurant Provenance, says communication is the key; the best thing a guest can do is phone ahead with their particular needs. "Some nights can be that dietary perfect storm, where every docket will have some alteration. It can be challenging, and giving the kitchen prior notice will make the kitchen happier and you will get a better meal. Unless the kitchen are slackers, in which case you will get a bad meal regardless."